The perfectly put together (thanks you Lord!) 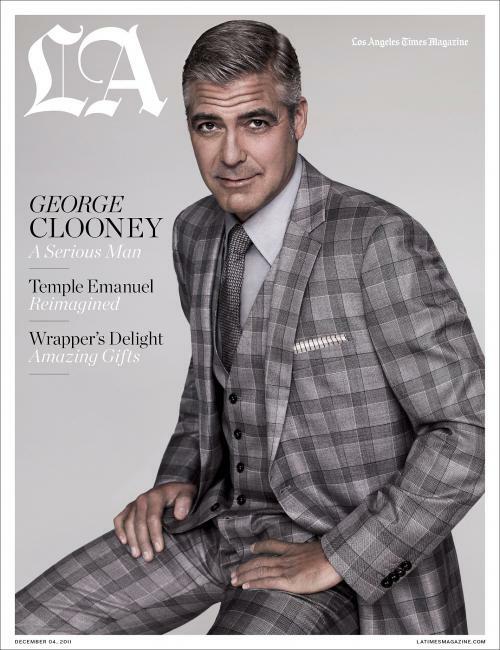 Mr. George Clooney is covering LA Times' latest magazine looking dapper as always! The actor known for his sultry good looks is probably more popular these days for his humanitarian efforts around the globe than anything else. Clooney has been avid about changing the conditions of many less fortunate than he is. He's raised hundreds of thousands of dollars in relief efforts in the past. His heart seems to lie in the struggles facing Sudan and the many humans rights violations happening every single day there. With a brilliant idea and the help of a few of his good friends (Matt Damon, Brad Pitt, Jerry Weintraub, and Don Cheadle), and his own hard earned money Mr. Clooney is taking a very radical stance against the situation in Sudan... read the full article here!